The LG G Pro 2 is the latest large-screen device from LG, and it comes with a 5.9-inch beautiful 1080p display, the Snapdragon 800 processor with 3GB RAM. When compared to the LG G2, the flagship device for year 2013, the G Pro 2 has got a lot of new and hidden features in the interface and that could be due to the Android 4.4.2 KitKat OS running in it, compared to the Jelly Bean OS. 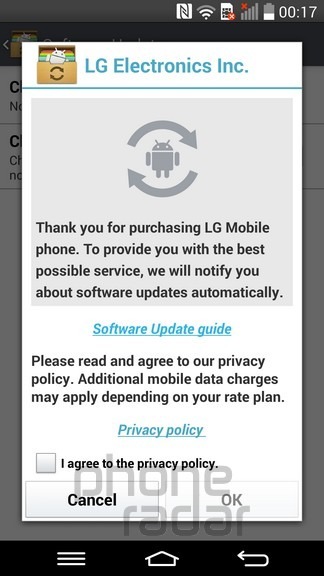 If you bought one, it’s not easy to take advantage of all the important features because most of them are hidden somewhere in the settings for you to unlock, thus follow the tips and tricks of LG G Pro 2 below to make the best out of it. Capturing a screenshot isn’t a hard task if you make sure that you are not confusing yourself. 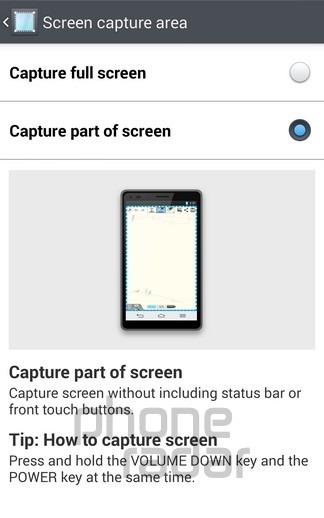 In the LG G Pro 2, you will see the option to capture area including the notification / status bar, or the front touch buttons in the bottom, or you can exclude them. 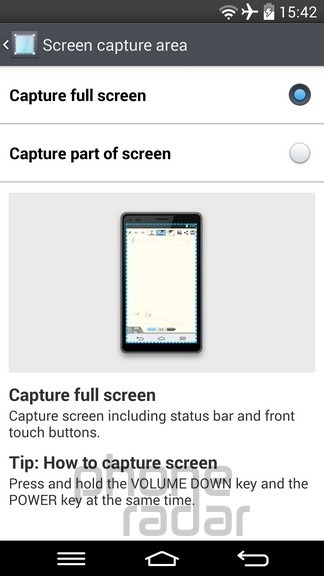 To use this, you need to go to Settings > Display > Advanced Settings and there you would see an option “Screen capture area”. This is surely one of the useful features for the users who have a smaller hand, and is finding it hard to use the phone and reach out all the areas of the screen with a single hand. 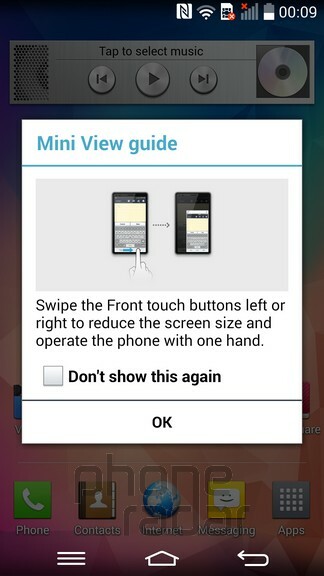 For using this feature, you just need to swipe your finger from left to right or right to left, and it would show you the mini view guide, and then you can adjust the size of the mini view window. 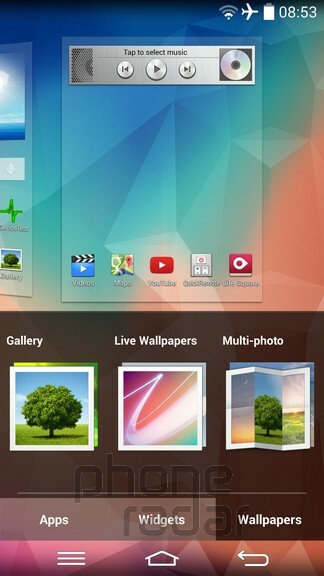 The wallpaper on the home screen can be set in a way to have a separate photo as a wallpaper for each home screen. 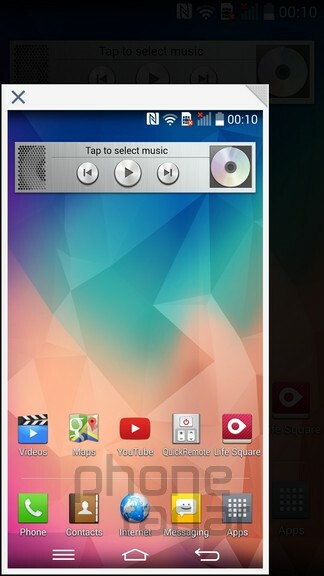 For that, you need to long press the empty space on the home screen and a list of options would appear in the bottom, where you need to select Wallpaper and then select Multi-photo. 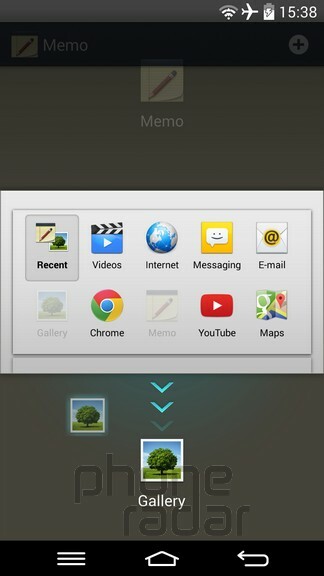 Here, you need to add images and sent one for each home screen. Just like in most of the high-end devices, the LG G Pro 2 comes with the multi window option where you can use two apps at the same time, sharing the screen. 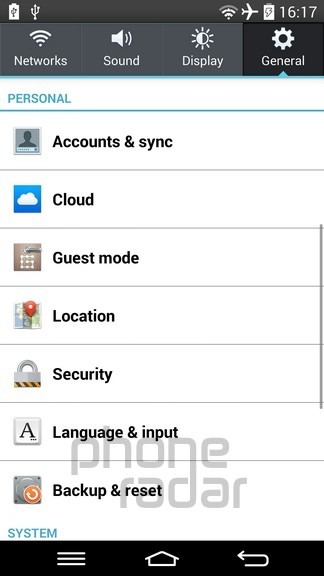 To enable the multi window option, you just need to tap and hold the Back key, so that you see the list of apps which you can use alongside the other one. 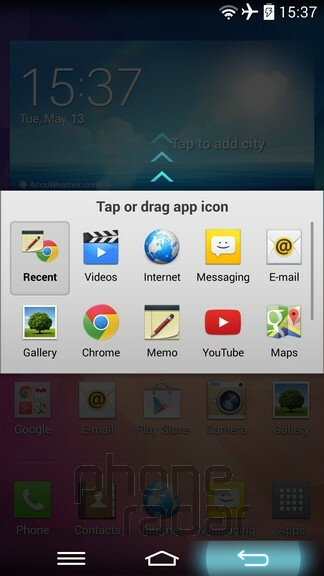 Drag the app icon towards the top, and another towards the bottom. You would be able to multitask right away. 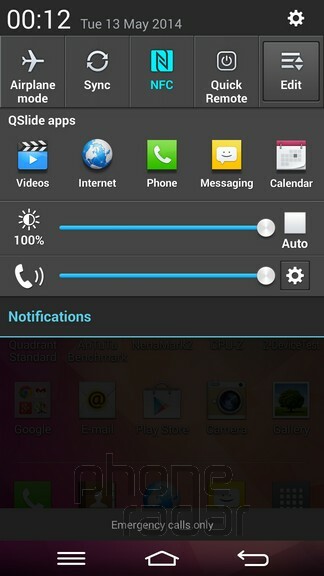 There’s the quick settings panel in the Notification panel, which gives you a quick access to the various settings. These quick settings can be changed with positions, if you feel that the options needed in priority are deep hidden where you can ready only by swiping to the end. 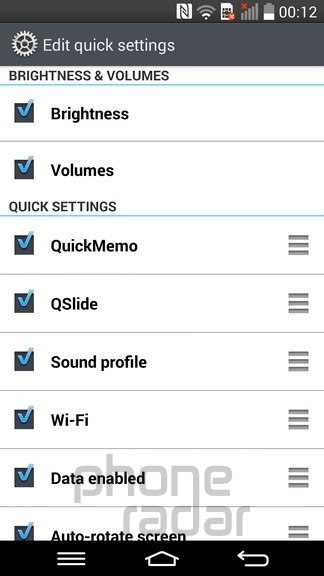 To edit the quick settings section, you need to go to the end of the Quick settings where you would see the option “Edit” which on clicking would take you to the section “Edit quick settings” and here, you will be able to drag these options up or down based on the way you want to see them in the notification panel. 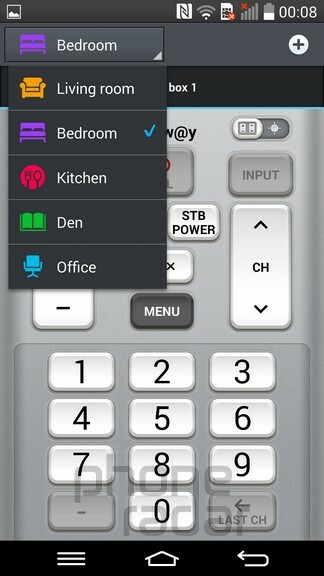 The LG G Pro 2, just like the G2, can be used as a universal remote, thanks to the excellent app and the inclusion of the IR blaster which helps in sending the signals to the TVs or gadgets such as Set top box, Audio player, DVD player, Blu-Ray Player, Air Conditioner and Projectors. 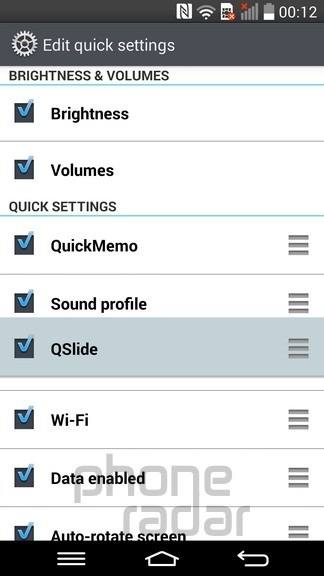 To use your LG G Pro 2 as a universal remote, you need to open the app “QuickRemote” which would already be in the list of pre-installed apps. There’s some initial setup required though – selecting the room, selecting the gadget and then testing it. 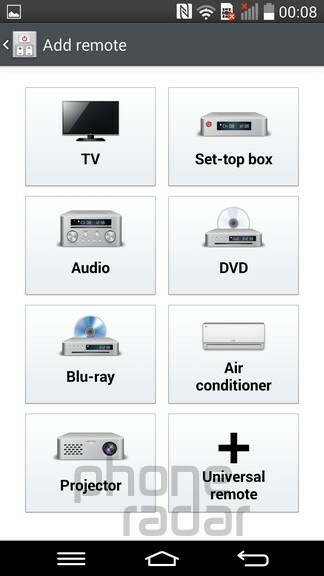 LG has done a good job by including most of the brands for each electronic item listed, so it’s not hard to set the device as a remote. 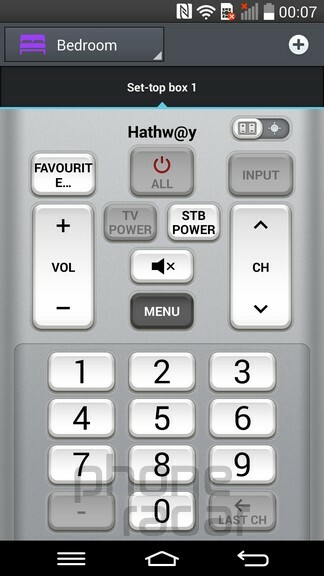 For the TV, you need to either select it based on the manufacturer or select the Set-top box company and set it up if you have a STB for your television. One of the important things for the high-end devices is the software versions, because if the software in the device is at the latest version, then the features and compatibility is at its best. 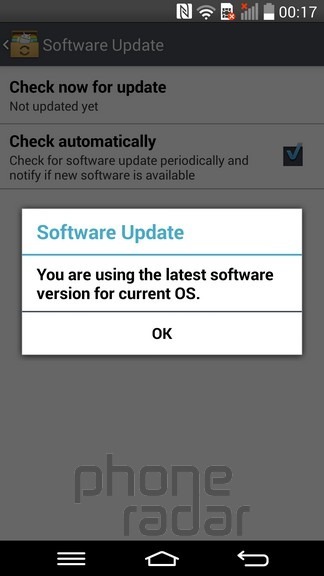 Although the LG G Pro 2 comes with the latest Android 4.4.2 KitKat OS, you may always want to check whether the device has received any new software update. 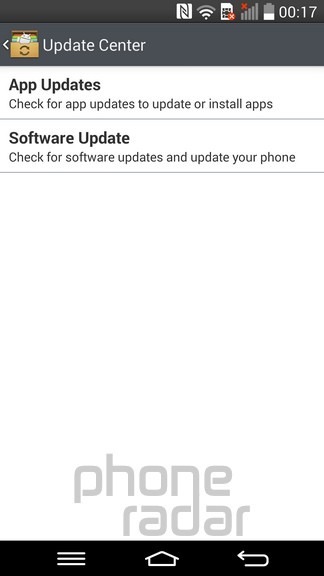 For that, you need to go to Settings > General > System > About phone > Update Center. 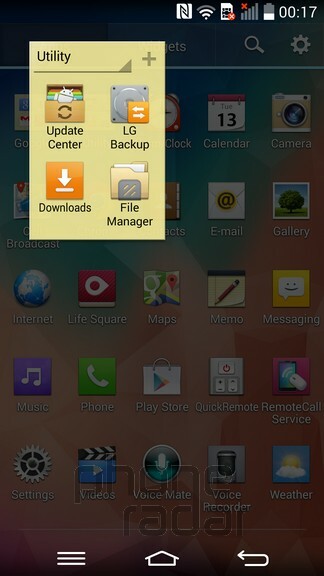 There is also a direct app provided by LG, called the Update Center which you can open under the Utility folder. Locking the content for privacy is something many would want to do. The LG G Pro 2 smartphone comes with the content locking system where the files in the apps such as Gallery, Memo and Notebook. Content locking is possible by going to Settings > General > Personal > Security > Content lock and here you need to set up the lock pattern and only then the content locking is possible. 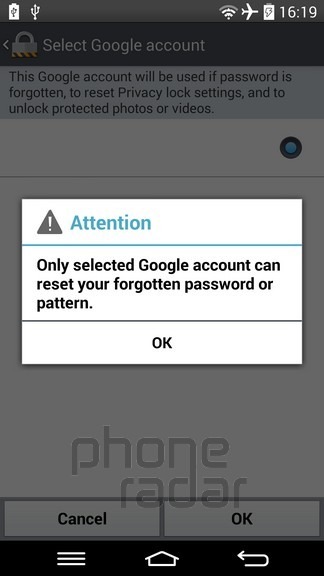 You need to even set up a backup account if at all the pattern / pin unlock don’t work. You won’t find the “Ok Google” feature working that well here, but the Voice Mate is something that is specifically for the LG phones. It would recognize your speech and perform a certain set of functions, like sending SMS, making calls, opening apps and more. 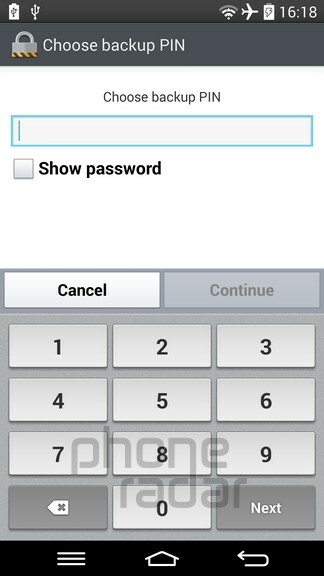 The app comes pre-installed, thus you just need to accept the terms and conditions to start using it. 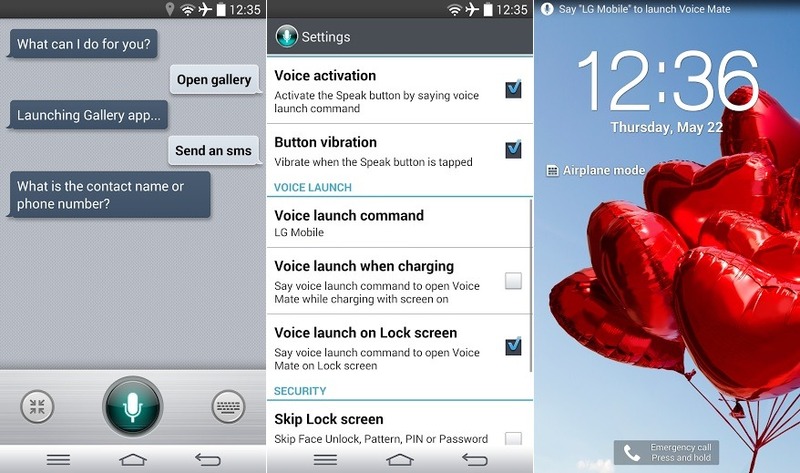 The Voice Mate can be used either by opening the app, or directly from the lock screen if you set the option, and the name you need to call to activate the voice assistant, is “LG Mobile” or “Hello Genie”, one of which you need to select from the settings. The feature would need the Internet connectivity to work. 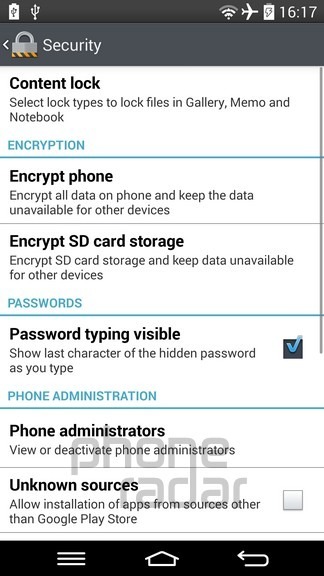 If you have set a lock screen with one of the options such as PIN, Pattern, Password of Face unlock, there is an option where you can directly open Voice Mate without having to use the unlocking options. The LG G Pro 2 comes with the 4K video recording feature, just like most of the other high-end smartphones in the current time are coming with. The 13MP camera on the rear side of the G Pro 2 can capture UHD (Ultra HD) resolution video, with the resolution being 3840×2160 pixels. 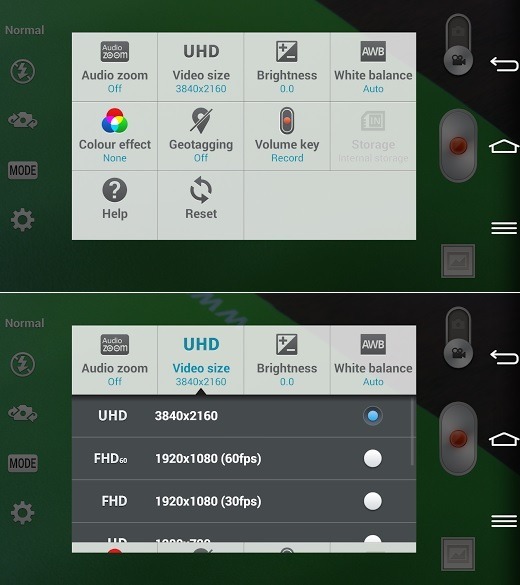 To activate the 4K video recording, you need to open the camera app and then select the video mode from top right option. 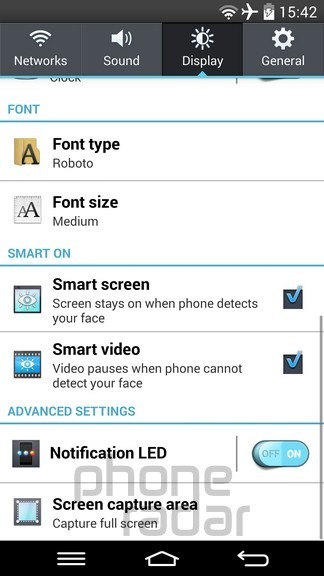 While in the video recording mode, go to Settings and the second option you see is for the video quality. This option will have different resolutions, with the highest one being 4K UHD video, which you need to select to record the 4K video. 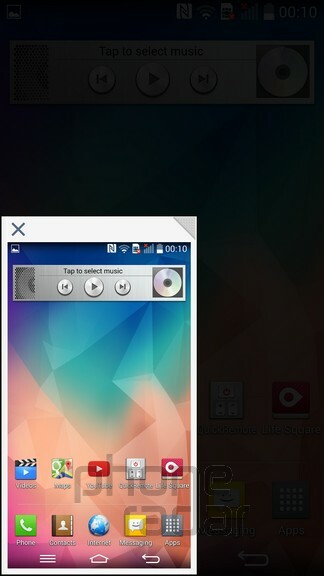 The front touch buttons / system buttons in the LG G Pro 2 can be customized. 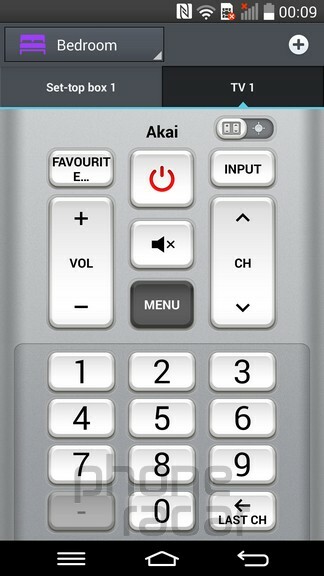 These front touch buttons come as a combination of three buttons but you can add one more to it, and change the position of the buttons based on your requirement. 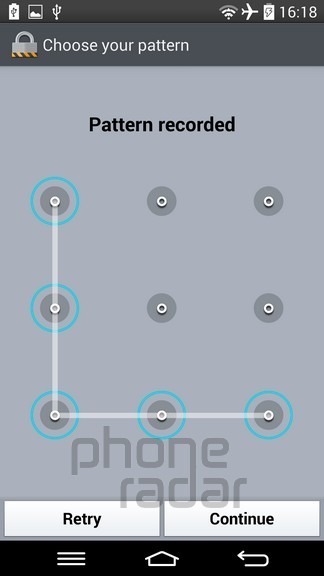 This is useful especially for those who are switching from another phone, and wanted the button pattern in the same way as it was in the earlier phone. 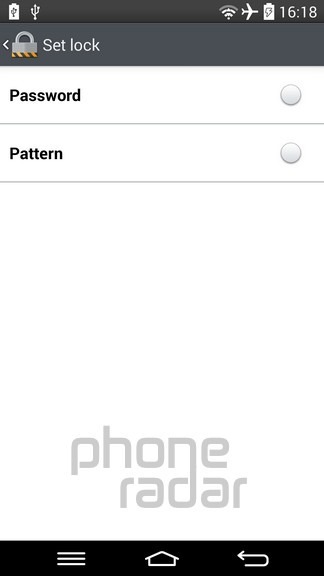 To change the pattern, go to Settings > Display > Front touch buttons and here you need to select “Button combination”. 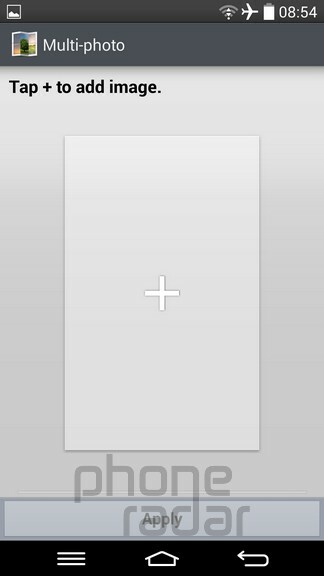 In the combination page, you need to touch and drag the icon to arrange the buttons. 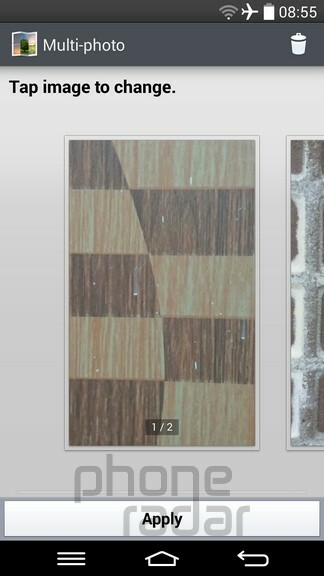 A total of 5 buttons can be used at once, and you can choose to have white gradation, white, black gradation and black color for the bottom button panel. 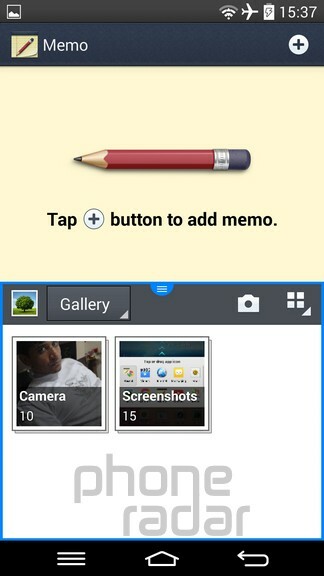 There are some pretty cool apps such as Gtasks etc. using which you can make a to-do list, but the Tasks app in the G Pro 2 doesn’t do a bad job either. It’s a pre-installed app. To set it up as a to-do list on the home screen of your device, you need to go to the home screen, tap and hold the empty area so that you see the options to place the wallpaper, widgets etc. Select widgets and scroll to the widget name “Tasks” which has got a single size, but you can change the size as you wish once the widget is placed on the home screen. Once the widget is on the home screen, just tap and hold the corner of it and you would be then able to shrink or expand it based on the size you want the widget to be. There are a lot more tips and tricks of the LG G Pro 2 which we would be adding to this list, for someone who has just bought this device and wanted to make the best out of it. Are you facing any issues and wanted to ask something about it? do comment below.